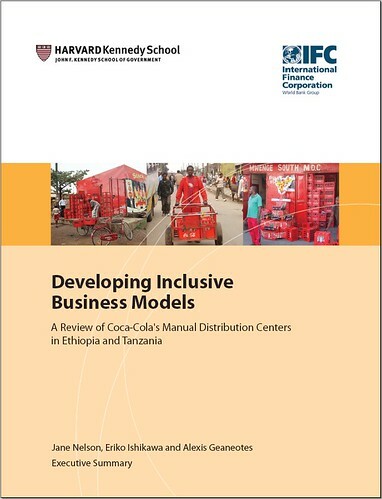 Last week the HARVARD Kennedy School and the IFC published their report into the research into Coca-Cola’s Manual Distribution System undertaken in East Africa in the summer of 2008. We reported on this here. The report can be downloaded here: harvard-ifc-mdc-summary-report-final (PDF, 2.3 MB). In November 2008, once the study’s initial findings were available, Coca-Cola convened a multi-stakeholder dialogue in Tanzania to seek input on the fi ndings. The session was attended by development practitioners from the NGO, government and international agency community to debate and explore some of the research recommendations in more detail. Co-facilitated by Business Action for Africa and the International Business Leaders Forum, the dialogue included a wide range of participants including local, regional and international representatives from organizations such as Save the Children, Population Services International, Enablis, CARE International, Colalife, the U.K.’s Department for International Development, the United States Agency for International Development, SNV Netherlands Development Corporation and UNICEF. 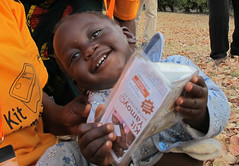 In these two countries and others where the MDC model is being implemented, there is potential to leverage this network of thousands of small enterprises that are located in low-income communities to achieve broader development goals, such as the distribution of social products or support for social marketing. This broader effort cannot and should not be the responsibility of the company alone. 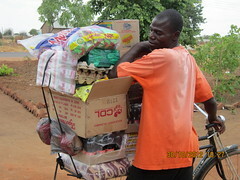 Nor must it undermine the core commercial viability of these small enterprises. Failure to maintain profi tability would clearly undermine the business model and thereby jeopardize the long-term contribution it can make to development. Yet, by working in partnership with other companies, donors, government bodies or development experts there is potential for the network of MDCs to be leveraged in a targeted way to address other development needs. Well done Simon and team. Keep up the good work and the pressure.